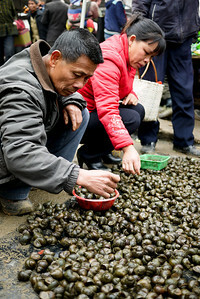 Vegetables, fish, and locals at the morning market in Fuli, outside of Yangshuo, in China. 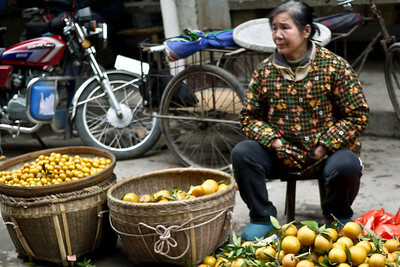 Women and men line the market area with their fresh fruits and vegetables. 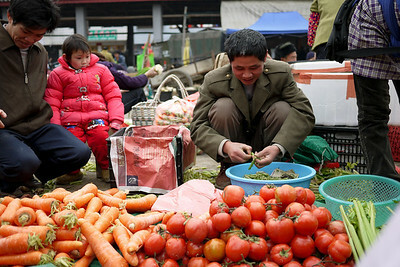 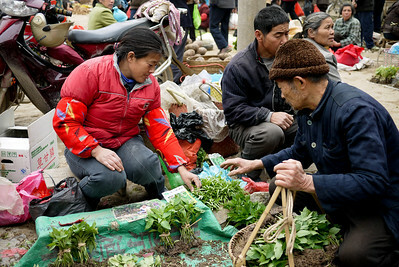 Locals shop at the weekly Fuli market for a supply of fresh veggies, fish, and other food staples, China. 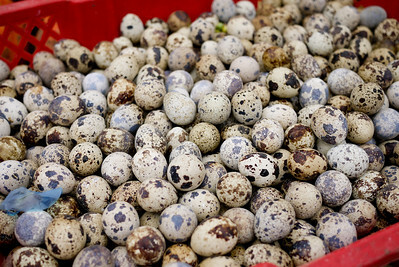 Tiny eggs for sale at the market in Fuli, China. 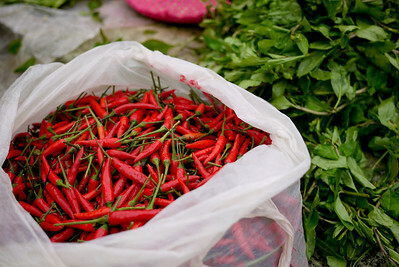 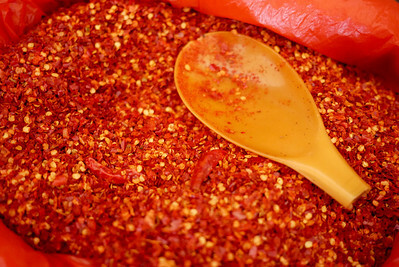 Some like it hot in China as evidenced by this heaping bag of spicy chili peppers at the market in Fuli, China. 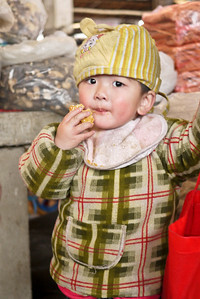 A wee one catches sight of the only foreigners at the market and watches us carefully, Fuli Market near Yangshuo, China. 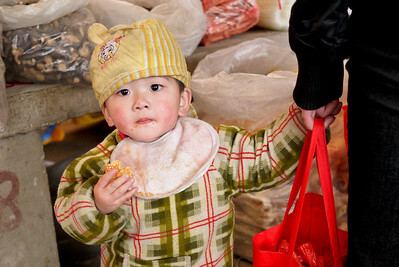 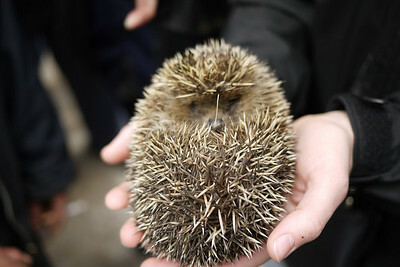 A very curious little one at the Fuli Market near Yangshuo, China. 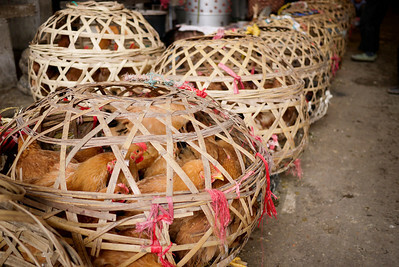 Chickens in cages are ready to be bought and sold for dinner at the Fuli Market near Yangshuo, China. 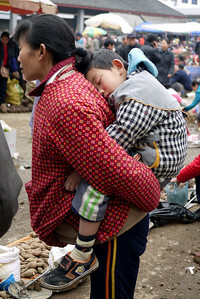 Locals pick out their dinner while young ones sleep soundly at the Fuli Market near Yangshuo, China. 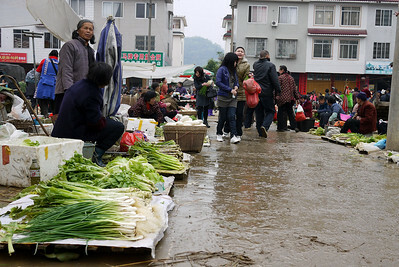 The wet streets and cool weather don't deter the vegetable vendors at the Fuli Market near Yangshuo, China. 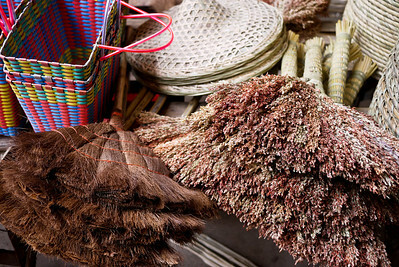 Brooms and hats for the locals, Fuli Market near Yangshuo, China. 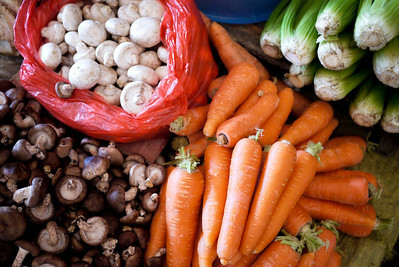 Bagged mushrooms and carrots at the vegetable section of the Fuli Market near Yangshuo, China. 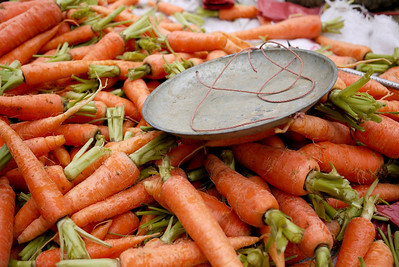 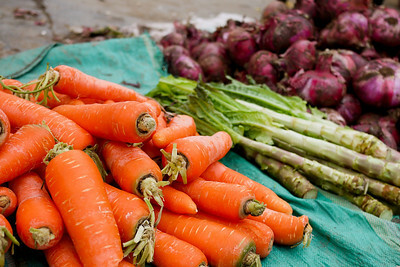 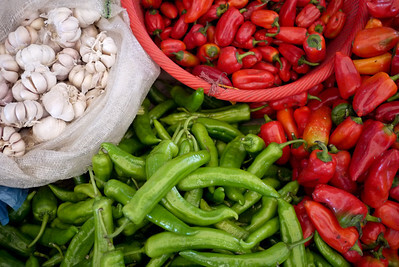 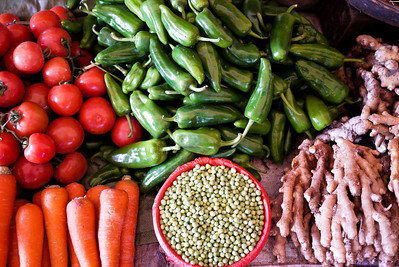 Pretty fresh veggies line the stalls at the Fuli Market near Yangshuo, China. 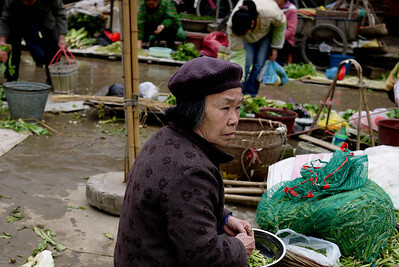 A vendor quietly watches as the locals peruse the vegetable stands and pick out their dinner at the Fuli Market near Yangshuo, China. 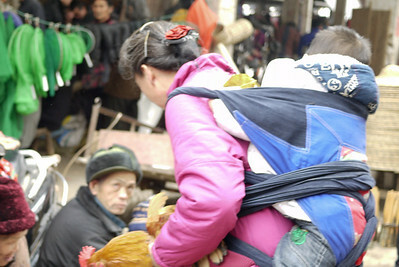 Bags of chili add a bit of flavor to Chinese cuisine at the Fuli Market near Yangshuo, China. 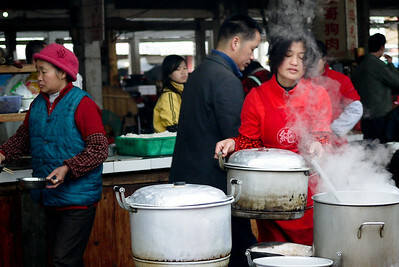 A local is prepping food at the Fuli Market near Yangshuo, China. 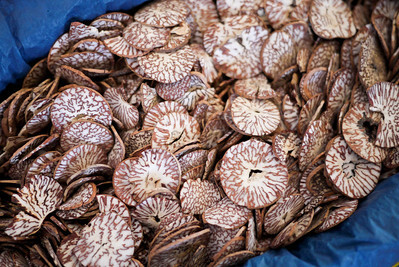 A colorful pile of betel nuts at a market in Fuli, China. 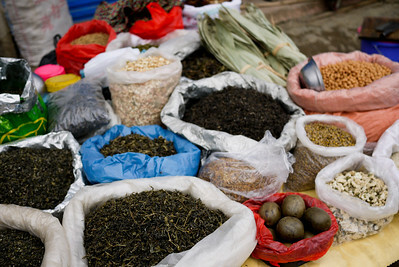 Spices and teas, seasonings and bags of yuminess at the Fuli Market near Yangshuo, China.